The spacing was done to organize the tile types. Honestly I wasn't paying attention to the spacing at the time, I was keeping the tiles together mostly to avoid users from losing track of tile type. And you were right, it is better to keep spacing for future additions. If there is a performance issue with big images I will fix it before the 1.5 release. The reason the chest tiles are included were not to be used as dynamic tiles that can be disabled upon start as placeholders for chests the editor may want to put down. This was an idea taken from Tunics, in which parts of the tileset contained enemy sprites that were used as dynamic tiles, which were then replaced within the code by random enemies based on certain conditions like weapon/item requirement, tileset, terrain type, etc. Also, if you look at the red, blue, green, yellow, and gray tiles near the chests, you will notice they are transluscent. These can be used as either dynamic tiles or you can put them down temporarily to be used as placeholders for crystal switch blocks. In the current project I uploaded for Chris, I think I included several crystal switch blocks with matching crystal switches, as well as a modified crystal light switch, which I might replace later with PZE's light switch. Crystal switches that more resembled Ocarina of Time's. These crystals were diamond crystals just like the LttP Maiden crystals, that hovered over a small plaque. 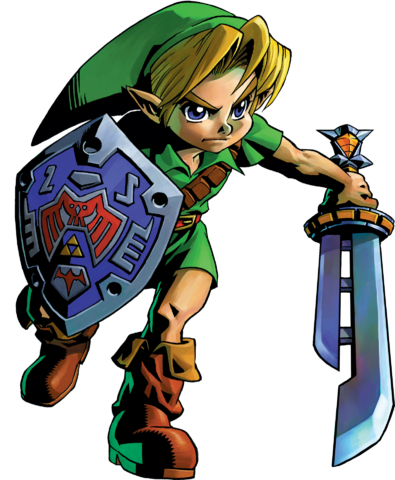 When Link hit the crystal, it would spin once and fade into its opposite color. I originally had bombs that would fade/glow red to better emulate the bombs from Ocarina of Time. The fuse would shrink, and once the fuse reached its base, the bomb would change to a very dark blue; almost black, and upon explosion, would transition from a blue flaming explosion to a red one just like the OoT bombs. I even had arrows that used real world physics. Just like bullets fired from a gun, the arrows would 'spin' as they moved through the air. The feathers on the blunt of the arrow would spin in an infinite loop until the arrow landed.